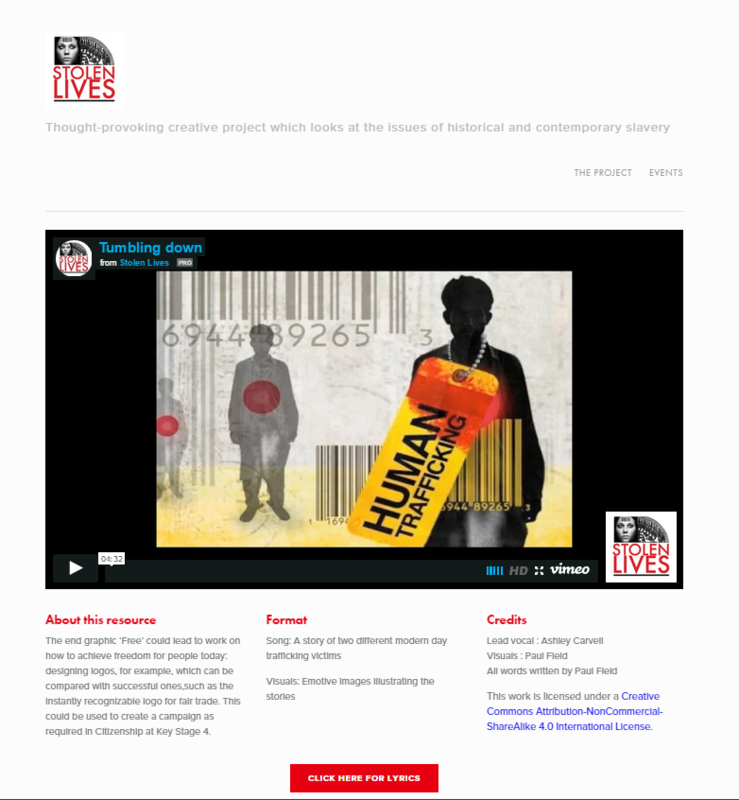 Stolen Lives is a project funded by the Arts & Humanities Research Council (AHRC) with support from the Wilberforce Institute for the study of Slavery and Emancipation (WISE) at the University of Hull. 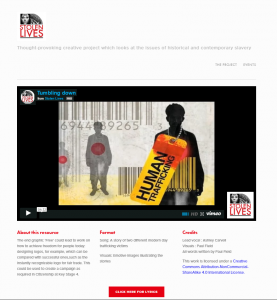 The project aims to raise awareness of both historic and modern-day slavery through short musical and narrative videos. These educational resources are available under a creative commons license (CC BY-NC_SA 4.0). The expectation of this specific creative commons license is that those interacting with the resources from around the globe will respond with interpretations of the songs and narratives, which they will post back to an emergent, global community. With such a poignant topic, paired with the intention of informing future anti-slavery campaigners, how does one put this into practice and make it a reality? 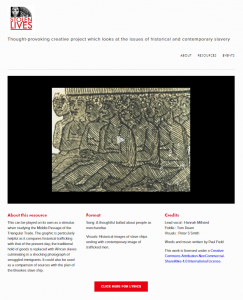 This article outlines the technology and collaborative frameworks used to create an interactive, anti-slavery community and provides several scenarios for its use. This project brought together academics specialising in historic and contemporary slavery, musicians writing the words and music, artists designing graphics and images to convey the strong messages, educationalists to recommend pedagogic use of the resources, and technologists to make it all accessible in a framework enabling a sustainable community to emerge beyond those initially involved. From a practical standpoint, the videos were all created on an iPad, which demonstrates that available technology – even a mobile phone – could be used to make new renditions. Although primarily intended for a secondary education context, the project is relevant for youth groups, museums, music and dance groups and faith-based groups. 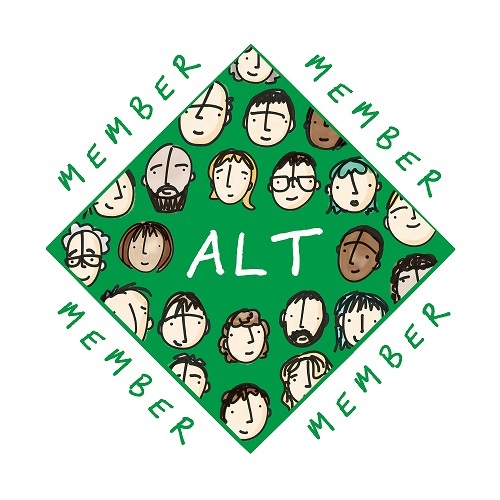 The core elements enabling a sustainable and cooperative community are: a website that utilizes collaboration-ready platforms to host creative content, providing access to these platforms for users of the resources to upload their creative responses and interpretations through social media. Creating a website was agreed as a necessary means of providing access to the videos. Hence, each of the 17 unique resources has a dedicated space on the webpage to host the video. The songs also have the lyrics, music scores and backing tracks available as separate files and narratives have the words as a separate file. Suggestions are provided on how the video or supplementary resources might be used for educational contexts. The collaboration-ready platforms selected are Vimeo for film, SoundCloud for backing tracks and Google Drive for PDF files of lyrics and texts. All three platforms curate a Stolen Lives community where local and global community members can upload and share new creations. Social media is the final publishing element. Facebook (StolenLivesUK) and Twitter (@StolenLivesUK) have reached key policy makers, including Kevin Hyland, the UK’s new Anti-Slavery Commissioner, as well as local and global individuals and education groups. In Cross-Curricular Learning: Year 8 History teachers show the video Slave Drivers directly from the Stolen Lives website. Students discuss links between historic and contemporary slavery and make posters illuminating the connections. In English lessons, students deepen their reflection through a comparative essay on the similarities and differences between slavery past and present. Music teachers may provide a musical score to students for analysis and invite students to create new lyrics to the music. Suggestions of new lyrics are uploaded to the collaborative environment. Project-Based Learning: the entire Year 9 is off timetable for a week and their subject is slavery. They watch the Chocolate Slaves video on the Stolen Lives website and begin designing the focus of their week long project. One facet may focus on geographic locations where cocoa is grown. Another facet may blend art and technology by developing a story about enslaved children, drawing or painting backdrops then creating a stop-motion video on the school iPads. A further facet may be developing a business model to encourage use of Fairtrade chocolate and sustainable ways to support cocoa farmers. One group write and perform a play, which is recorded. 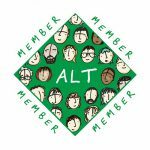 The maps, stop-motion videos, spreadsheets and performance videos are uploaded to the collaborative platforms to help inspire other teachers. To enable flipped learning models, students review a specific video at home in preparation for a class discussion. They research statistics available on the Global Slavery Index and write a report on a given country, thereby learning about international slavery issues. The 17 unique resources can inspire teachers and students to learn in emergent, creative frameworks. Sharing one’s own rendition or interpretation back to the community brings a highly active sense of ownership and contribution. As this project has just launched, we look forward to reporting back on how the community networks evolve and how the collaborative platforms come to life. How powerful! An amazing and blossoming work, Margaret! Powerful! I just referred a colleague to this site to consider a collaborative project. Thanks, Margaret!